One of the few questions I have been asked as I continue to write my child series (I have published Love Child and its sequel Child No More, but I am currently working on book 3 Child Scorned) is how many books will I put out on Tommy Hulette. Someone even suggested that too many books in a series can get boring and can cause fans to lose interest. There is some truth to this. Whether it's books or movies there is such thing as too much of a good thing. Lethal Weapon, and Scream are two examples of this. In my opinion Scream never needed a sequel and Lethal Weapon could have ended after the second one. I can name many examples, but the point I'm trying to make is that some stories end in a way where no sequel is needed. The writer should be able to see this, but it doesn't always happen that way. Sometimes the writer may see and feel something different and will persist in carrying the story further not realizing that they can ruin the integrity of the first story when they do this. Speaking for myself however, I knew from the very beginning that my first book Love Child would need a sequel. Tommy's story is a complicated one and one book was not going to tell his entire story. I wrote the book in the suspense genre and some of my readers have loved it and called it a page turner. Same thing with the sequel Child No More. 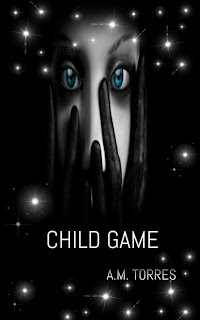 I enjoyed writing these books and I can't wait for the release of Child Scorned. I cannot predict when this series will end. Right now it may end with this third book. Or it may not. If there is nothing to add then naturally the story can end at least this current one. It doesn't mean that Tommy Hulette cannot appear again. He may not appear for a long time or he may come around sooner. There is no way I can fully predict anything right now. I won't write anything for the hell of it. I will allow the character to lead me, like I've done from the very first book. There are times when you have to know when to leave well enough alone.